GPs have nothing to do with compression. Which brand GP? Anything not Bosch Duraterm is suspect. If you are sure all the GPs are good, then you must turn to verifying there is no air getting into the fuel supply. If you don't want to install a section of clear fuel line in the return path (to see if air bubbles are present) an alternative method is to splice in an electric fuel pump upstream of the fuel filter, which should force feed pure liquid fuel into the injection pump. These engines are not that complicated but the important stuff is different than for gassers. To start they need: Fuel, compression, sufficient cranking speed, glow plugs. I've started this engine in ~50 degree weather without glow plugs. That right there proves good compression by itself! The cam sprocket isn't keyed IIRC. I tried to start it on fluid, felt like one cylinder was firing and there was more smoke out the PCV hose than the exhaust. Starting fluid + glow plugs = big BOOM. Think broken rings, pistons, etc. 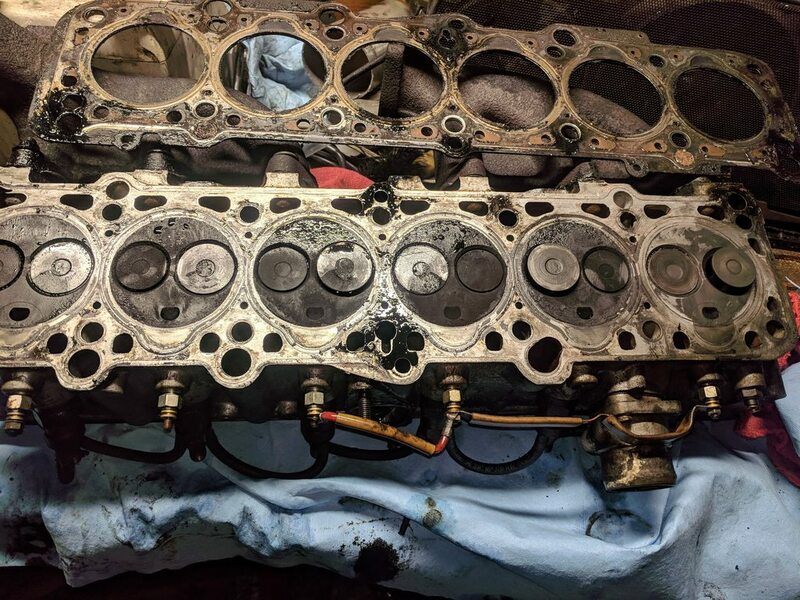 Judging from the photo, the camshaft is about 30deg BTDC, so likely the crankshaft bolt was too loose and the TB pulley slipped there or the front camshaft pulley slipped. Interference engine so bent valves. Well I set the cam timing in the day so I could actually see and it still won't fire on more than one cylinder. (Interference fit cam pulley with no key or markings? Thanks VW.) Verified fuel delivery. Probably gonna pull the head and see if it's the valves or what. Went to see if that crusty turbodiesel Merc was still for sale, it's gone.. I'm thinking that VW D24 is a non-interference fit engine. It's related to the earlier VW/Audi 4 and 5 cylinder diesel, not the later 1.9L diesel. 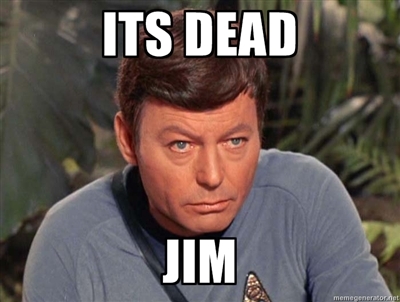 Edit: I did find mention of the VW Diesel being interference fit. 9mm hex head bolts? Really? The one size that didn't come in the hex socket kit..
EDIT: Didn't see the star drive dealy in the dark. This is what I need, right? Last edited by Cwazywazy; 09-13-2018 at 07:34 PM..
You need "triple-square" tools, not Torx. 12-point serrated? That's what I've found in VW Rabbit/Jetta engines manufactured since about 1975. Always replaced those type head bolts with the earlier 6-point socket head allen bolts. Bought tools on amazon, should find out exactly what happened tomorrow night. But seriously, what was wrong with normal bolts VW? And a timing belt, on a diesel? I'm pretty sure the headgasket is slightly blown, it's drank coolant very slowly ever since I got it. About an expansion tanks worth every month or so, depending on how much I drove it. (No oil/coolant mixing though.) It has ran hot a couple times but never into the red zone and never since I got a new radiator, several months ago. Last edited by Cwazywazy; 09-14-2018 at 01:31 PM.. I drove my thirsty D24 for like 3 years and about 20,000 miles drinking water the whole time. There was nothing i liked about that engine. Well I set the cam timing in the day so I could actually see and it still won't fire on more than one cylinder..
You got it to fire by retiming the cam but not the inj. pump? Pretty lucky! Those triple-square headbolts are not that bad if you have the correct tool. Never had one strip. Where are you going to get a headgasket? 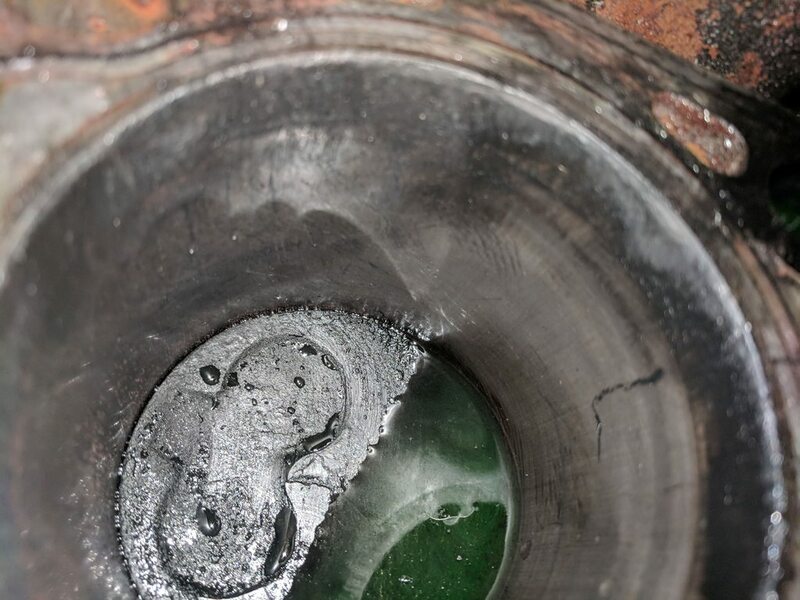 What do you have to measure piston protrusion to decide HG thickness? Old head gasket should have something that would indicate the thickness. 1, 2, or 3 holes (or notches). The number of holes on a tab on one edge of the gasket. Last edited by lummert; 09-14-2018 at 03:22 PM..
Head was rebuilt in 06, I assume that means it was milled and given a thicker HG. Not making any decisions until I decapitate it and see what happened. Engine swap is an appealing idea, but we'll see how bad the motor is first. One thing I like about the engine is the noise it makes. That's the only reason I enjoy diesels so much. You should look into a BMW 335D swap then. Well dang. Looks like it's the cylinder walls to me. I never let it run out of oil, although the idiot light doesn't work. EDIT: Wait, are those intake valve indents supposed to be there? They look old. Last edited by Cwazywazy; 09-16-2018 at 11:20 PM..
Might as well find a MB diesel. I never let it run out of oil, although the idiot light doesn't work. Did you repeatedly push it hard before engine completely warmed up? These like full synthetic. Didn't later versions (VW) specify full synthetic? Blurry photo, hard to tell. Looks like there *could* be a valve indentation extreme bottom center of your photo. More like a mark tho than a real indentation. Clean up the piston and better photo to tell for sure. 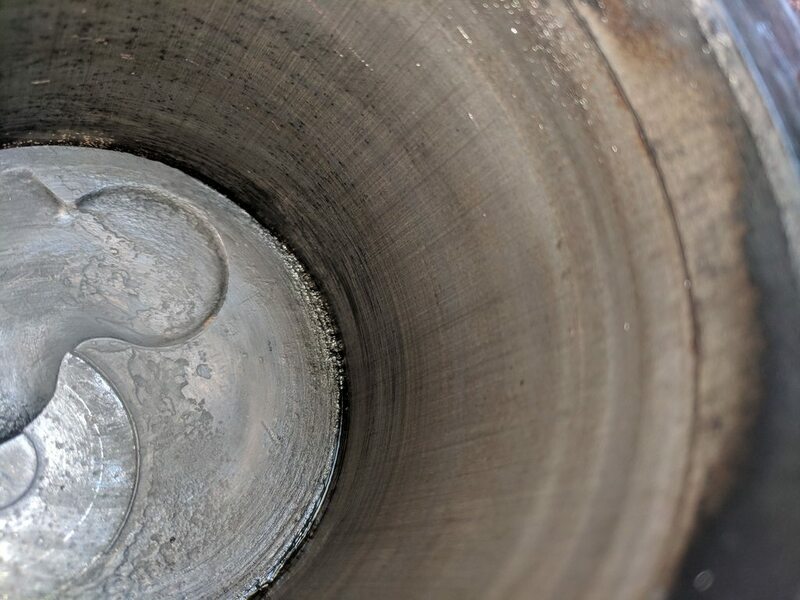 Maybe what you are referring to are the two roundish "combustion chamber" indent that receive the hot atomized fuel from the precombustion chamber in the head? Remember, the valves are in the center, not offset to the edge. Need to see a better photo before condemning the cylinder walls. Usually the lower end on these are nearly always problem free. Mine at 170xxx mi. looked fresh, crosshatching, just getting broken in. What kills these is 1) Catastrophic overheating-- lots of coolant hoses, many directly under the fuel system waiting to deteriorate from leaking fuel-- which tends to warp the long L-6 aluminum head or; 2) Jumped timing from either deferred TB maint. or lack of getting the crank pulley tight enough (350+ ft-lb) so slips and then bent valves, broken camshaft, broken pistons, bent rods. YOURS doesn't look so bad so far. You might have been able to save yourself quite a bit of work if you could have verified the presence of air in the fuel or not. Never beat on it cold, ran synthetic. Check the album for more pics. Hasn't overheated in my ownership of it. As for air in the fuel, I think you're forgetting that I compression tested it. 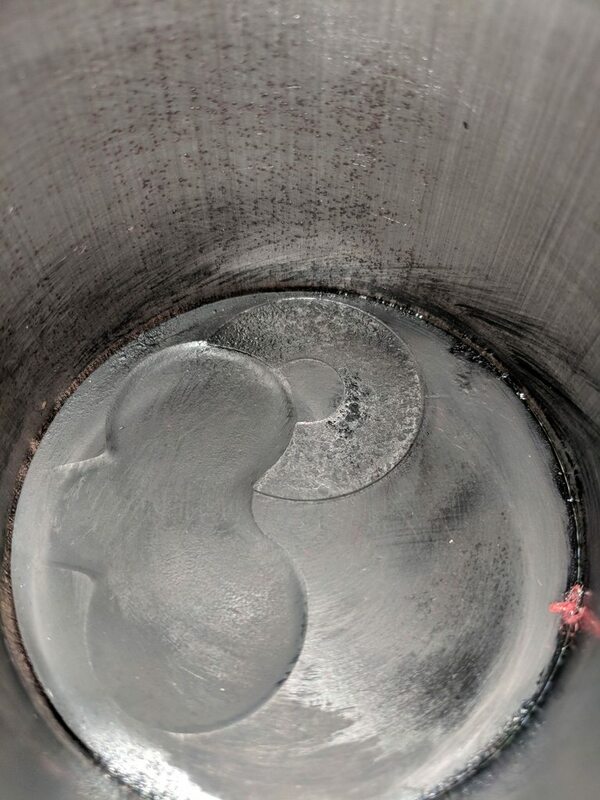 Looks like the valves and the pistons had a meeting. You can see the outline of the piston bowl on the intake valves as well. 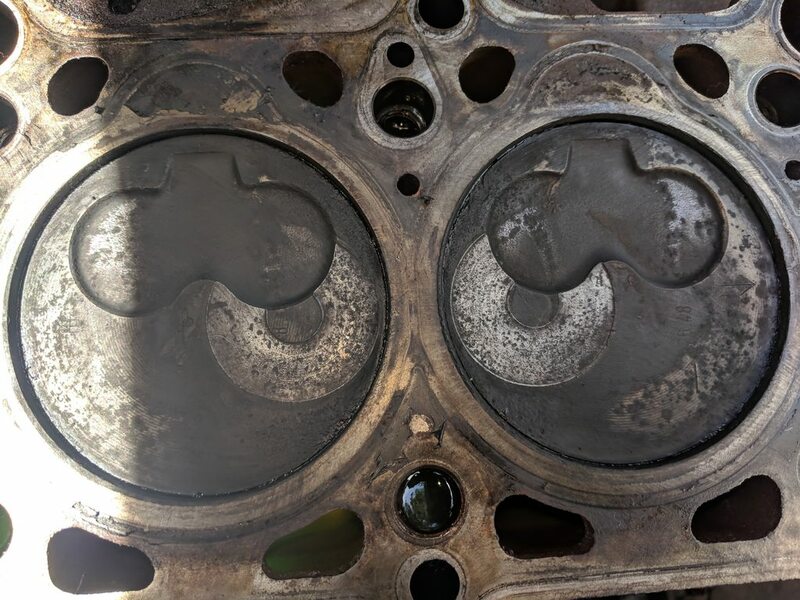 Yup, pistons hit the valves pretty good. 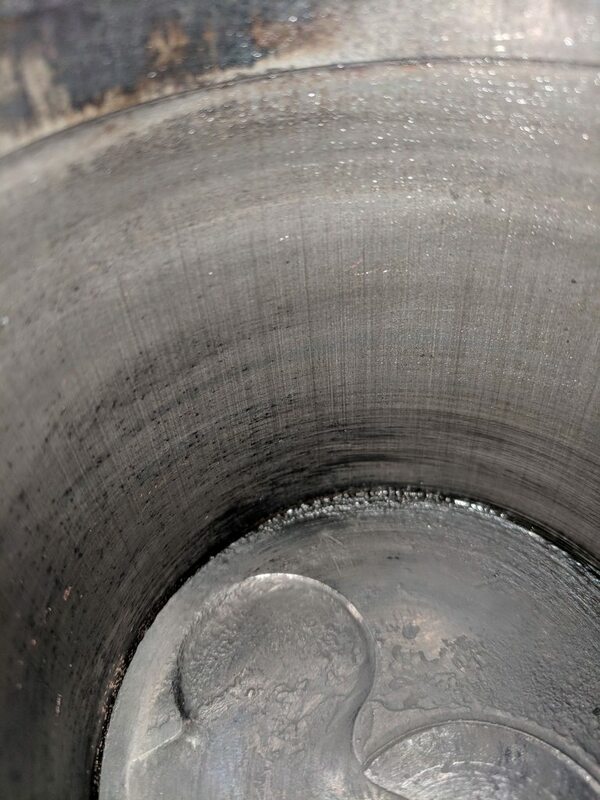 At least a few of the pistons show erosion, possibly from bad injector spray pattern/leaking or dripping between pops, maybe injection pump timing too far advanced. Also apparent cylinder wall scuffing. I did remember your compression test numbers but (incorrectly) chose not believe them because you had stated the engine would start in 50deg. w/o glow plugs. Bent valves, camshaft timing way off (both immediate) and poor cylinder wall condition (not so immediate) obviously contribute to poor compression. Either the crankshaft pulley slipped (probably most common), or the camshaft pulley (less common) slipped, or the TB failed (any broken teeth?). While possible to repair, would definitely be a labor of love, usually only the Pinzgauer folks go through that because rare. I poured some acetone in a few intake ports with the head on its side, nothing leaked out. Besides, I set the timing correctly and it still refused to fire.